A big thank you to Mrs Irvine who organised a P5 Cycle Skills morning with our Sustrans NI Officer Claire Lundy. Initially the plan was to get outside on the bikes but the relentless rainfall all morning put an end to that idea. 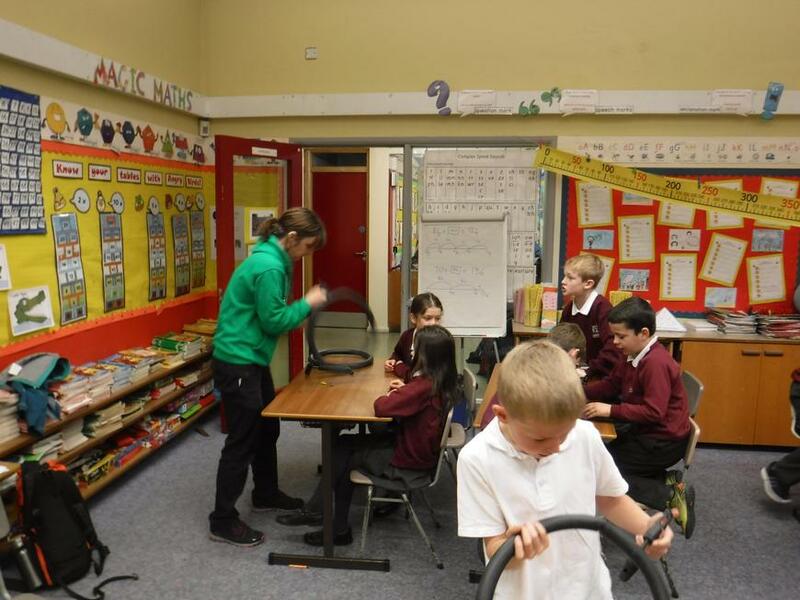 Thankfully Claire came prepared for Plan B and led a very interesting and fun session on bicycle maintenance in the classroom with a specific focus on puncture repairs. We have agreed to run the outdoor cycle skills session in Term 2 and hopefully get a dry day this time. See more photos on P4/5 and P5/6 class pages.